Posted on September 25, 2017 by Captain Bligh! Members of the Phantom Dragons / Pink Phantoms participated in the Taking Steps for Cancer 5K in Grand Lake on September 24, 2K17. 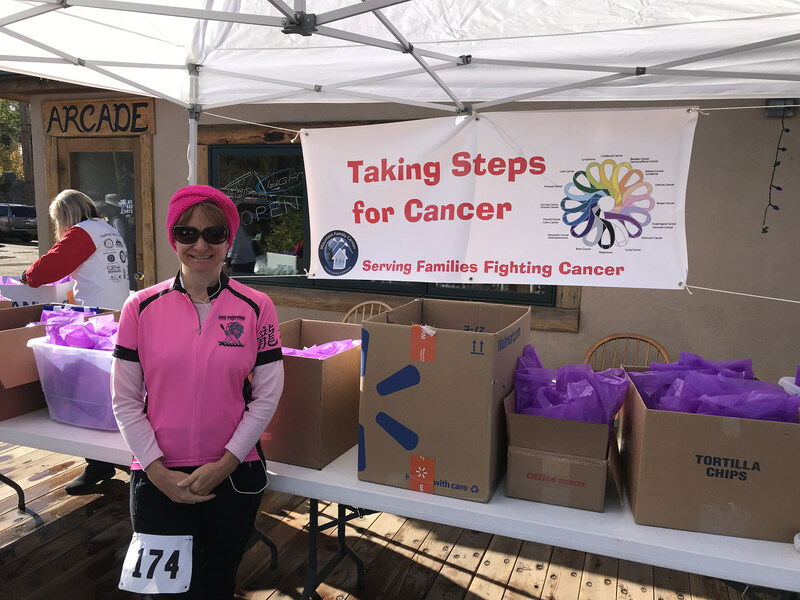 The event benefitted the Mountain Family Center, an organization that provides cancer support services to Grand County residents. 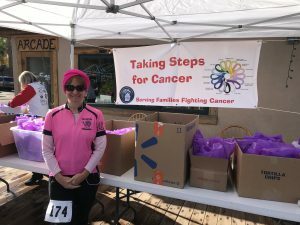 This entry was posted in BCS Program, Dragon Boat News, General Information and tagged 5K, BCS, breast, cancer, DRACO, dragon, Dragon Boat, Dragonboat Racing Association of Colorado, dragons, Grand County, Grand Lake, Mountain Family Center, pink, Pink Phantoms, race, research, run, survivor, Taking Steps for Cancer, walk by Captain Bligh!. Bookmark the permalink.